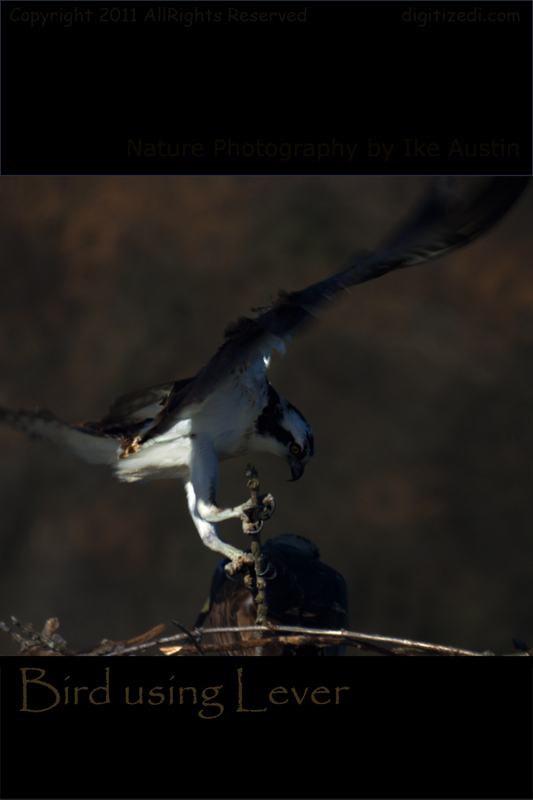 One of the biggest, badest set of menacing looking talons in all the land, has returned – Osprey in Michigan. The early morning air was crisp and chilly to my hands, and also it seemed to have an operational effect my camera equipment. There was a slight mist on the water’s surface and off in the distance the mist became a transparent milky white that appeared to be sandwiched between the bare tree tops and the water; seagulls circling low to the water’s surface disappeared as each gull darted in and out of the thick white mist. It wasn’t long before my camera equipment swung into action. A large shape menacing bird of prey Michigan Osprey in flight was heading my way with a trail of squawking seagulls chasing close behind. It was the infamous Osprey. The Michigan Osprey had caused a great deal of alarm in other resident birds living on the lake; claiming to be king of the domain until the Osprey with its massive and intimidating flight divide the fog.